The del Cisne girls have never just been sisters; they're also rivals, Blanca as obedient and graceful as Roja is vicious and manipulative. They know that, because of a generations-old spell, their family is bound to a bevy of swans deep in the woods. They know that, one day, the swans will pull them into a dangerous game that will leave one of them a girl, and trap the other in the body of a swan. But when two local boys become drawn into the game, the swans' spell intertwines with the strange and unpredictable magic lacing the woods, and all four of their fates depend on facing truths that could either save or destroy them. 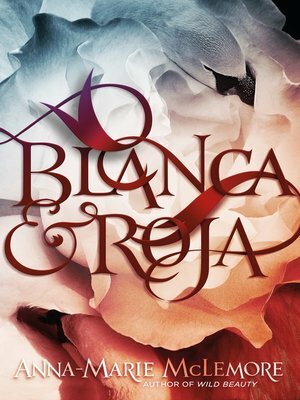 Blanca & Roja is the captivating story of sisters, friendship, love, hatred, and the price we pay to protect our hearts.